Raise and suitably support the vehicle. Refer to Lifting and Jacking the Vehicle. 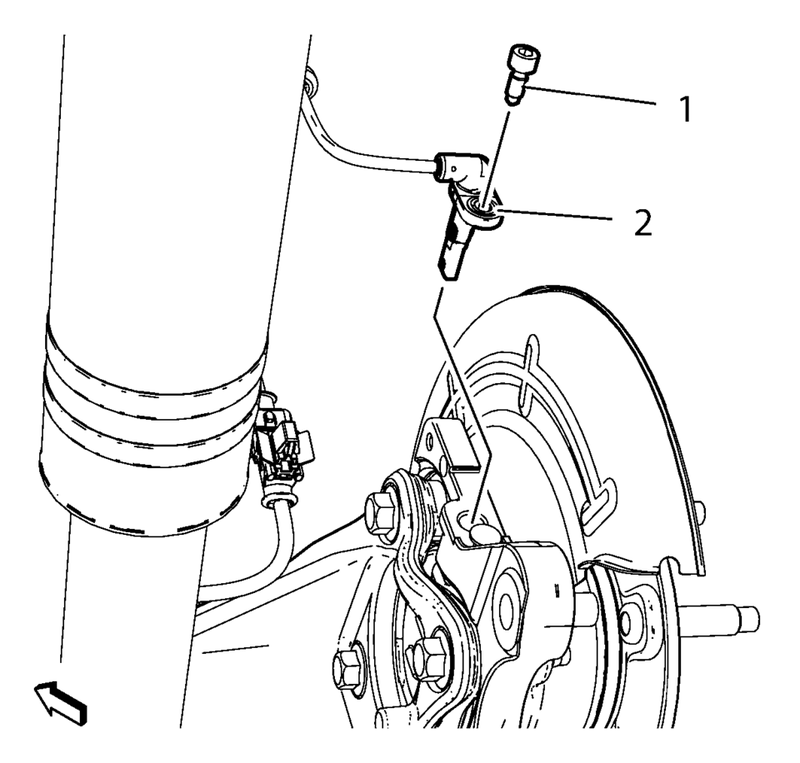 Without disconnecting the hydraulic brake flex hose, remove and support the rear brake caliper and bracket as an assembly. Refer to Rear Brake Caliper Replacement. 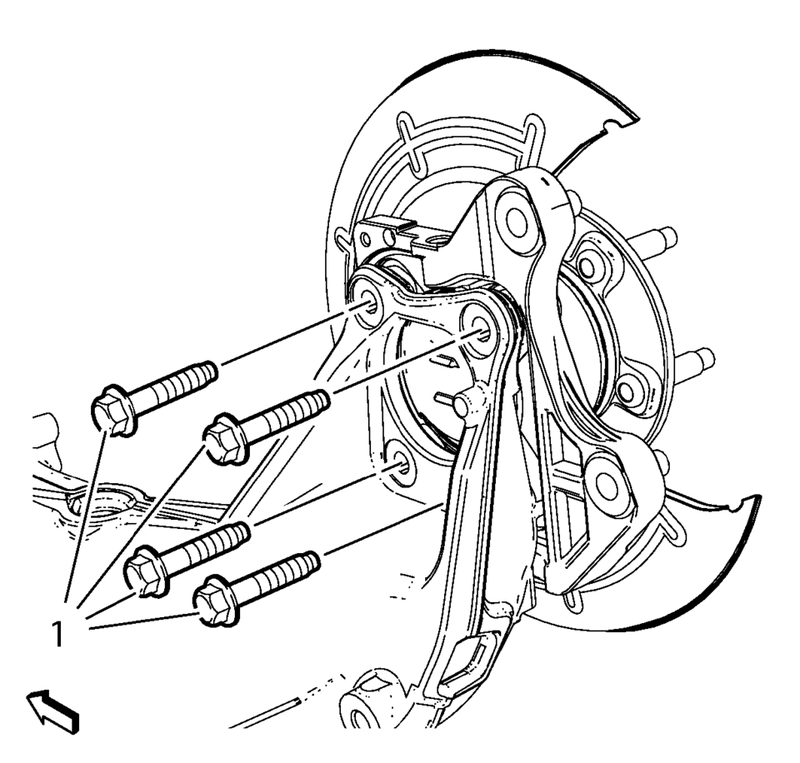 Remove the rear brake rotor. Refer to Rear Brake Rotor Replacement. Remove the wheel speed sensor bolt (1). Remove the wheel speed sensor (2). Remove and DISCARD the 4 wheel bearing/hub mounting bolts (1). 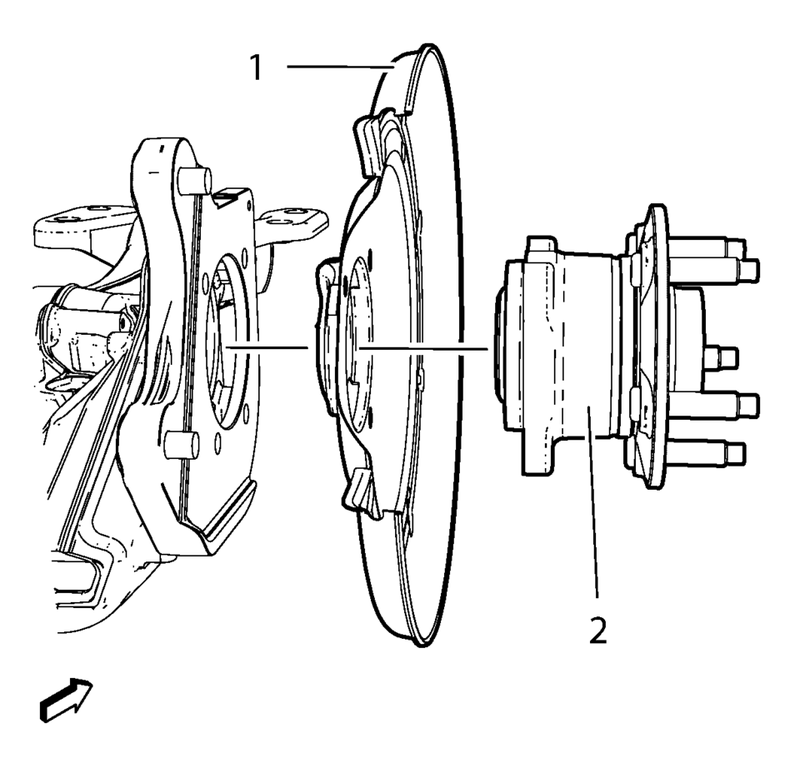 Remove the wheel bearing/hub assembly (2) and rear brake shield (1) from the rear axle. Position the rear brake shield (1) and wheel bearing/hub assembly (2) in the rear axle.
. Tighten the bolts evenly, in a cross-pattern. Install the wheel speed sensor (2). Install the brake rotor. Refer to Rear Brake Rotor Replacement. Install the brake caliper and bracket as an assembly. Refer to Rear Brake Caliper Replacement.